The 8th Brand Building International Forum was held in Shenzhen on May 8th, themed on Build a Brand Project of New Era, Create a Leading International Reputation Brand. 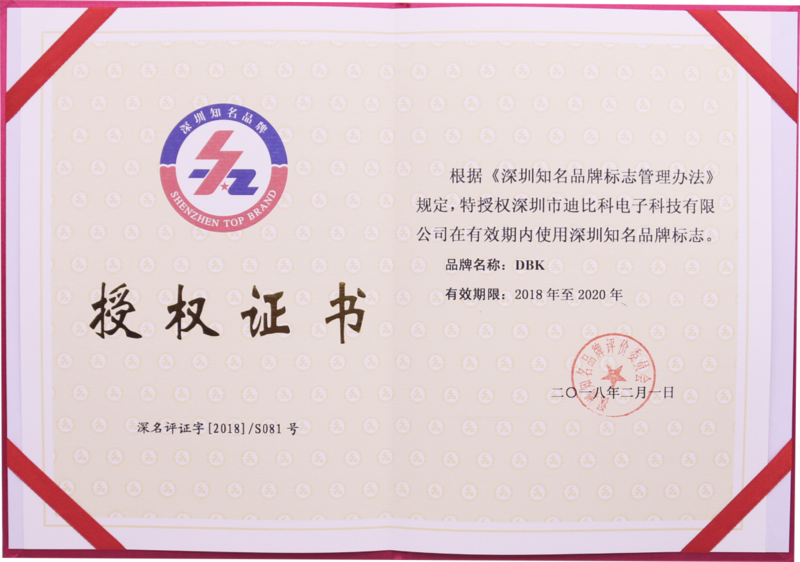 As a well-known enterprise in Shenzhen, Shenzhen DBK Electronics Co., Ltd. was invited to attend the forum and was awarded the certificate of "Shenzhen Famous Brand", plus authorization to use "Shenzhen Famous Brand Logo." All these honors demonstrate the brand influence of DBK. 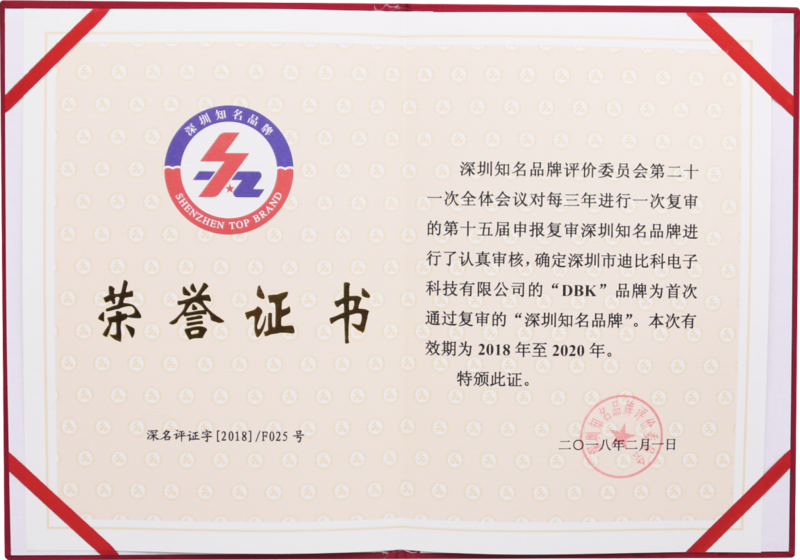 Offering one-stop service from ID design, R&D, production and marketing, DBK is a professional company of consumer electronics, energy storage products and intelligent products, which is devoted to providing high quality service for customers.